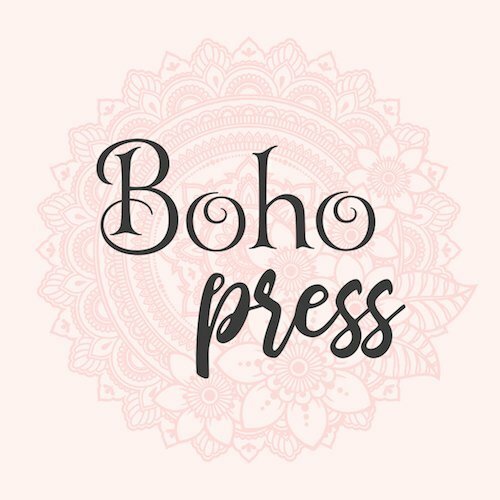 Boho Press publishes and edits romance on the fringe. Off the beaten path, these books explore the lives of queer people falling in love, growing, and discovering the world. This is the new home of what used to be known Labyrinth Bound Press and Labyrinth Bound Edits. Why the change in web address? I’ve wanted a self-hosted site for years so I could have more control, and combining my press and editing sites into one seemed logical. The name change is a longer story. Labyrinth is easily misinterpreted as a maze rather than a meditative tool used for greater personal understanding. That’s where I was headed when I named my business years ago. On top of that, I didn’t consider how often labyrinth was misspelled. Back then, I had no plans to work as a freelance editor, so I thought the name would be used on the copyright page in my books and listed as my publisher on websites. Then I started taking on editing clients. After hearing that authors were having a hard time finding me, the writing was on the wall. On top of that, the name doesn’t fit me anymore and what I’m hoping to show the world with my writing, especially when the perception most people have is getting lost, chaos…and David Bowie. So after a few glasses of wine and a long conversation with myself that renaming my business wasn’t the end of the world, I bought a new domain and made the decision to rename, rebrand, and redo everything I wasn’t thrilled with. What you’re left with a very pink website that’s very bohemian and very me. It’s as if my hippie self is finally free over here. You will notice at the top header there is a Boho Edits menu for info at your fingertips. If you scroll down, there’s a whole section devoted for you on the left footer. Intake, availability calendar, resources, and if you’d like to leave a testimonial so other authors can see what it’s like to work with me, there’s a button down there for that as well. If you really want to stay up to date with my writing, head over to my Posy Roberts website, subscribe to my newsletter, and follow me on BookBub. I’ll eventually link up my Winter Sandberg YA website and more here, dropping links when I have things updated. In the meantime, click around. I made it easy to sort through series and stand-alones too. And, welcome. I’m glad you’re here.